As it becomes clear how beneficial it is to both the dogs and people, more prisons are implementing programs for inmates to train shelter dogs to help them be adopted. 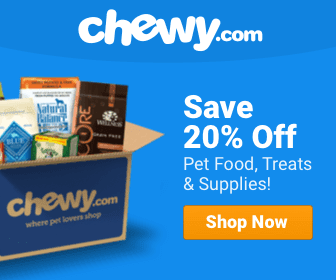 One such woman is rebooting her life with the dog she bonded with they were both incarcerated. 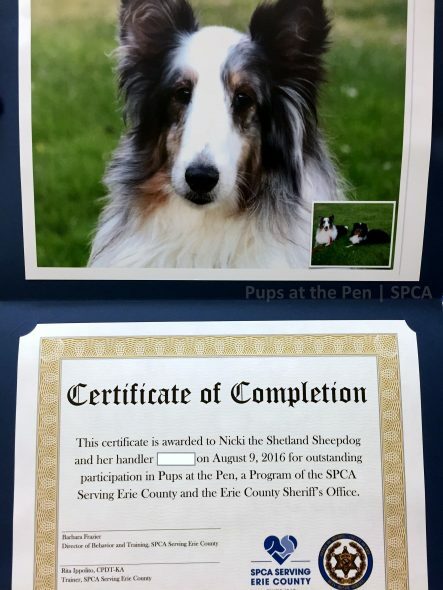 Pups at the Pen is a program initiated by the SPCA Serving Erie County to pair their rescue dogs with female prisoners at the Erie County Correctional Facility in Alden, New York, just outside of Buffalo. 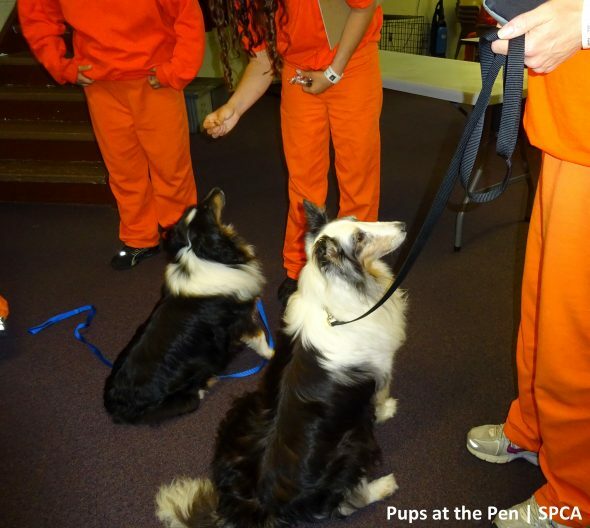 The dogs receive six weeks of training, which is constructive for the inmates and the pups. “For the people, improved self-esteem, increased senses of responsibility and accountability, and an additional sense of purpose in daily life while incarcerated,” the SPCA says. The prisoners and the dogs who are selected undergo an intensive screening process to ensure that their temperaments will be suitable for the program. The people must be a “low-security risk with a history of good institutional conduct.” The dogs learn basic obedience commands, like sit, down, stay, etc. as well as crate-training, and how to behave around numerous people. Mercedes Castillo was serving four months, and was paired with Jed, a six-month-old mixed breed from Arkansas. He lived with her for seven weeks, and they bonded so well that Mercedes wanted to adopt him upon her release. 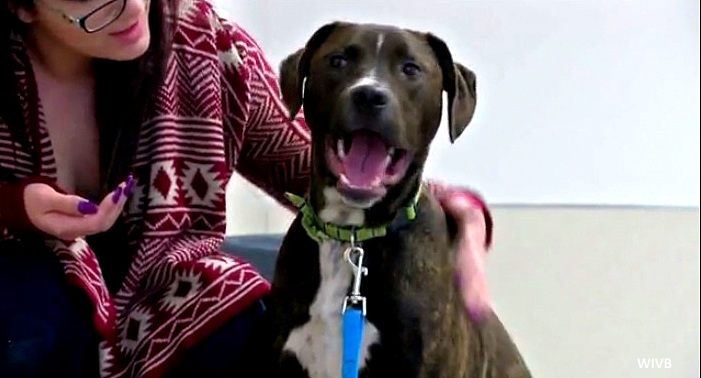 The SPCA Serving Erie County just opened a new facility in West Seneca, and Mercedes’ adoption of Jed marks the site’s first. Best of luck to both of you as you begin your new journey in life!